North Central Idaho represents 5 counties; Idaho, Nez Perce, Clearwater, Latah, and Lewis Counties. 70% of the land in these 5 counties is publicly owned; 5.5 million federal acres and 441 thousand state acres which represent significant tourism and recreation opportunities. We have the two deepest river gorges in North America; the Snake River and Salmon River. 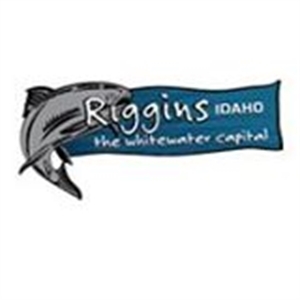 The Snake River and Salmon River are the primary draw to the region offering world class fishing for trout, small mouth bass, sturgeon, salmon, and steelhead as well as rafting and jet boating adventures. Other recreational opportunities such as hunting, hiking, camping, scenic driving tours, historical sites, and motorized vehicle recreation allow the outdoor adventurer all that they desire and more. Jan 29.0 F° 36.0 F° 43.0 F° 1.2 "
Feb 30.0 F° 39.5 F° 49.0 F° 1.1 "
Mar 35.0 F° 46.5 F° 58.0 F° 1.7 "
Apr 39.0 F° 52.5 F° 66.0 F° 1.8 "
May 45.0 F° 59.5 F° 74.0 F° 2.4 "
Jun 52.0 F° 66.5 F° 81.0 F° 2.0 "
Jul 56.0 F° 74.0 F° 92.0 F° 1.0 "
Aug 57.0 F° 74.5 F° 92.0 F° 0.8 "
Sep 49.0 F° 65.5 F° 82.0 F° 1.1 "
Oct 40.0 F° 53.5 F° 67.0 F° 1.3 "
Nov 34.0 F° 42.5 F° 51.0 F° 1.5 "
Dec 28.0 F° 34.5 F° 41.0 F° 1.4 "
Spring temperatures are cool with averages in the low 50's and highs in the mid 60's. Nights are cold with lows in the upper 30's. Summer temperatures are mild with averages in the low 70's and highs in the upper 80's. Nights are cool with lows in the mid 50's. Fall temperatures are cool with averages in the low 50's and highs in the mid 60's. Nights are cold with lows in the low 40's. Winter temperatures are cold with averages in the mid 30's and highs in the mid 40's. Nights are cold with lows in the upper 20's.